It’s time to take a break from the videos and look at the other attractions that populated Comic Con. No, it wasn’t all the free schwag we got (though we’ll be making an article about that later). It’s the cosplayers, and boy were there many. With the Jacob Javits Center packed to the brim with comic fans, animation and anime fans, and gamers (and nary a jock in sight), you were bound to bump into a cosplayer or two (or, say, seven). As many of you know, cosplay is serious business, and these people were ready to display the best of what they had. We have over 70 pictures, and you can view them all after the break! [EDIT] For some reason, hyperlinking Sailor Bubba into “serious business” resulted in him being in the gallery below. We’d like to make clear that he was, in fact, not at NYCC (though there’s probably a good chance someone like him was at the Con and we didn’t see/refused to take their photo). Our apologies. 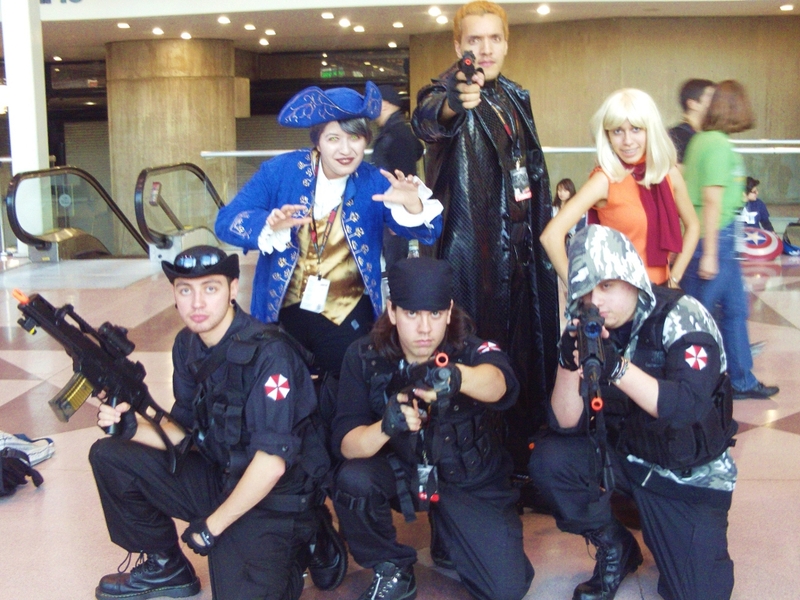 This entry was posted in New York Comic-Con and tagged alice, aqua teen hunger force, Blazblue, catherine, cosplay, deadpool, final fantasy, G.I. Joe, gears of war, Ico, megaman, minecraft, New York Comic Con, NYCC, Phoenix Wright, poison ivy, r2d2, rainbow dash, resident evil, silent hill, super mario bros., the sims, transformers, tron bonne, zelda on October 27, 2011 by TheWiredFishStaff.